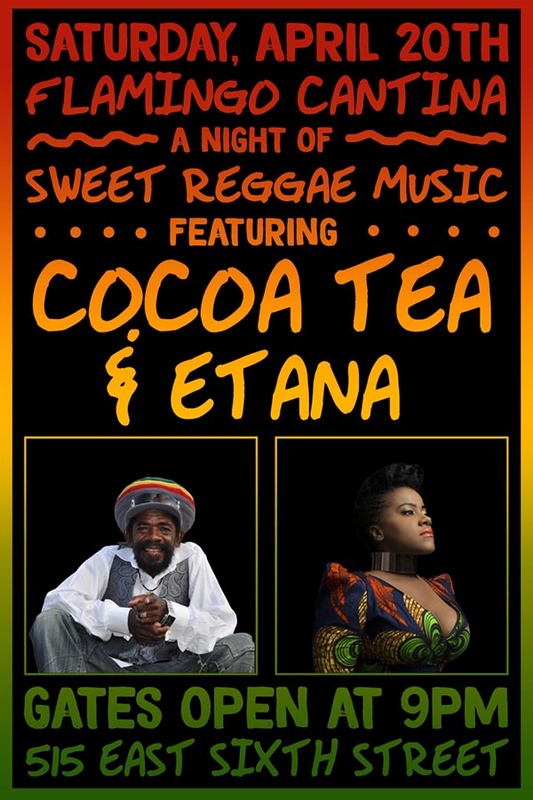 COCOA TEA is one reggae’s most talented and versatile artistes. His smooth, easy-going vocal presentation (pre-recorded or live) have become his trademark, earning him wide international acclaim; with songs like “Lost MY Sonia,” “Tune In” and “Rocking Dolly,” becoming world anthems in Reggae land. Etana is a reggae soul songstress with an uplifting message and inspirational sounds. Ranging from performances on a full live band to a up-close and personal acoustic set with a guitarist and her vocals. always leaving fans on a natural and spiritual high. Singer/Songwriter/Activist, Inspiring and changing lives through music and philanthrophy.